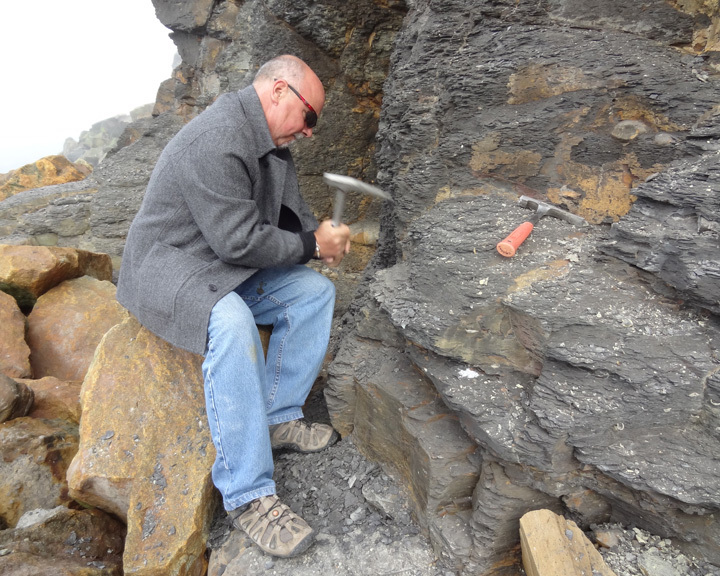 Whitby was our home base for four days of fossiling along the north Yorkshire coast. 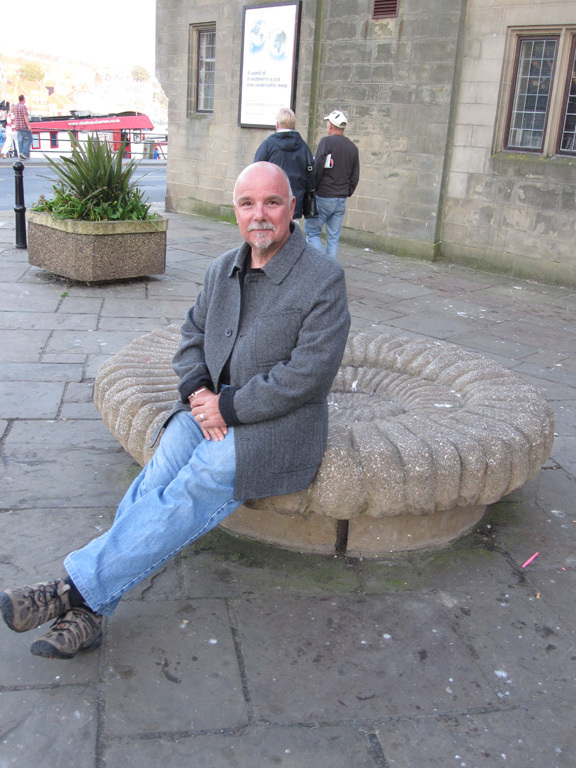 It is a quaint town with all the comforts of home. 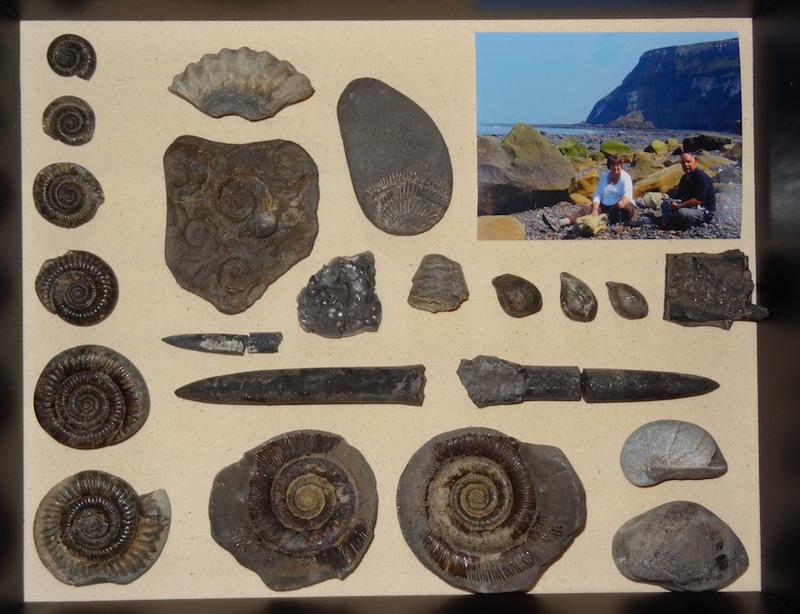 The coast of north Yorkshire surrounding Whitby is a mecca for Jurassic marine fossils. The Abbey is on the left on top of the cliff. 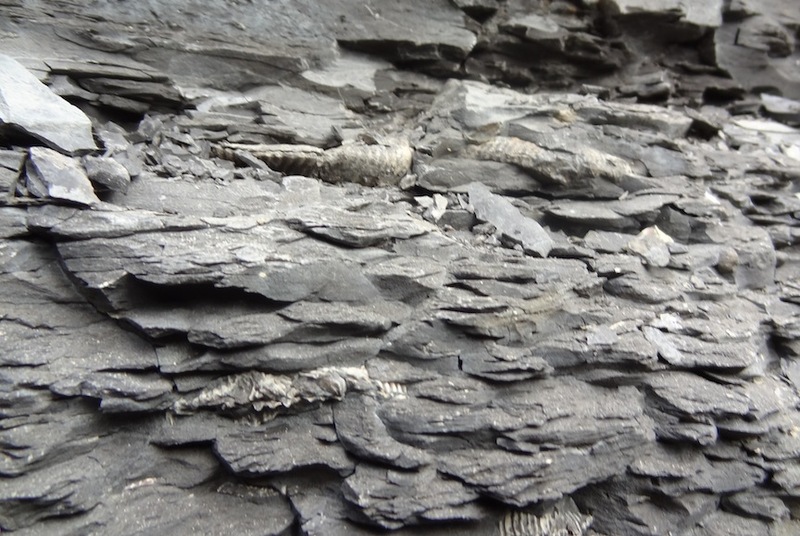 The faces along the beach are non-fossiliferous. "Boathouse", which we come to discover is the former sewage pumping station! It has been nicely redone. View of the town from the lifeboat dock. 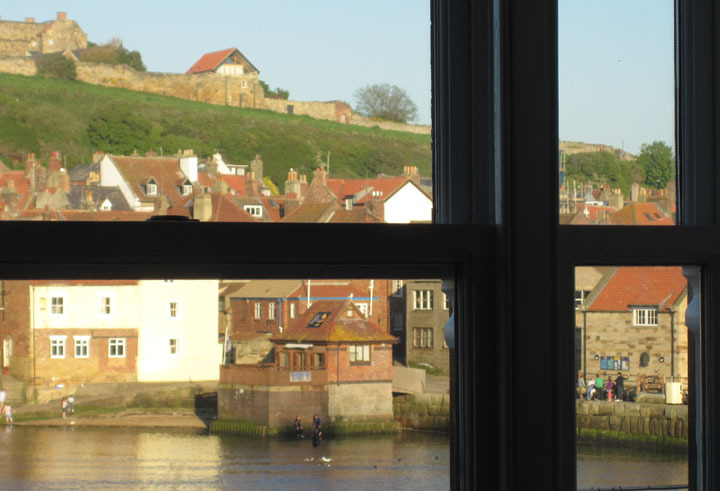 View of the harbor, mouth of the River Esk. 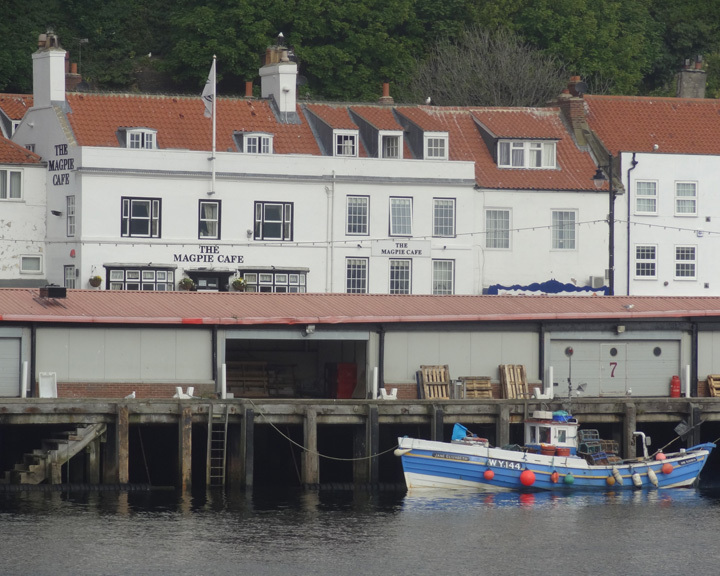 Similar to Lyme Regis but to a lesser extent, Whitby takes advantage of its notoriety as a fossiling location. as is the trade in jewelry fashioned from "Whitby Jet", the fossilized remains of the Monkey Puzzle tree. 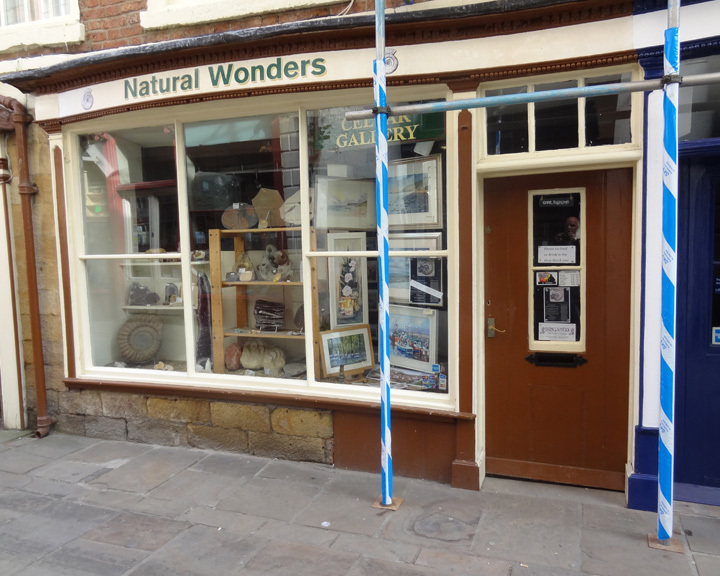 Natural Wonders is the storefront for Byron Blessed. 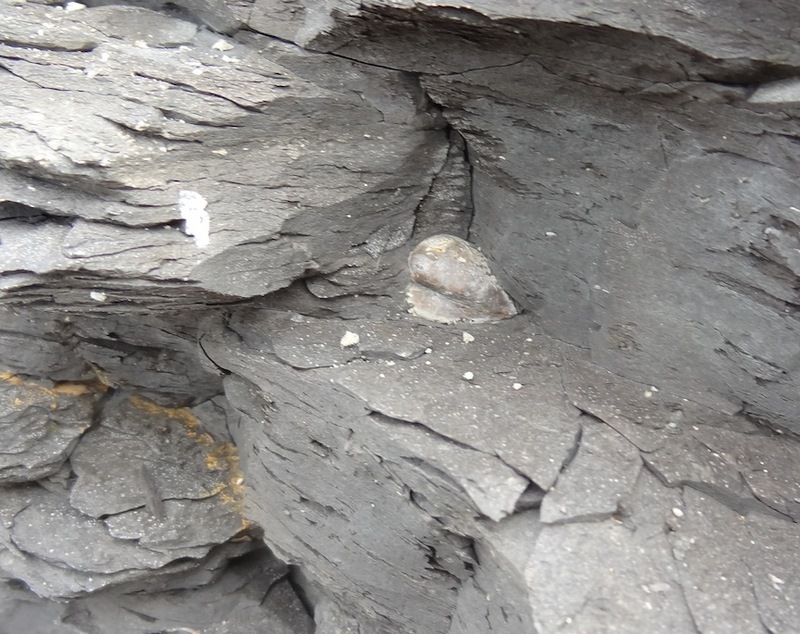 He finished a nodule that I found at Runswick Bay for me in record time! Nice people! We made a pub crawl one night, the Station was our favorite. where most patrons are seen only once. To our delight, the food was top shelf and the service par excellent! The harder, speckley grey nodules did seem to have much in them. They have a funny smell when you smack them with the hammer. unstable conditions. Collecting on the shore is restricted to low tide conditions only. Saltwick Bay is a bit further to the east and can be reached from the harbor mouth during low tides. 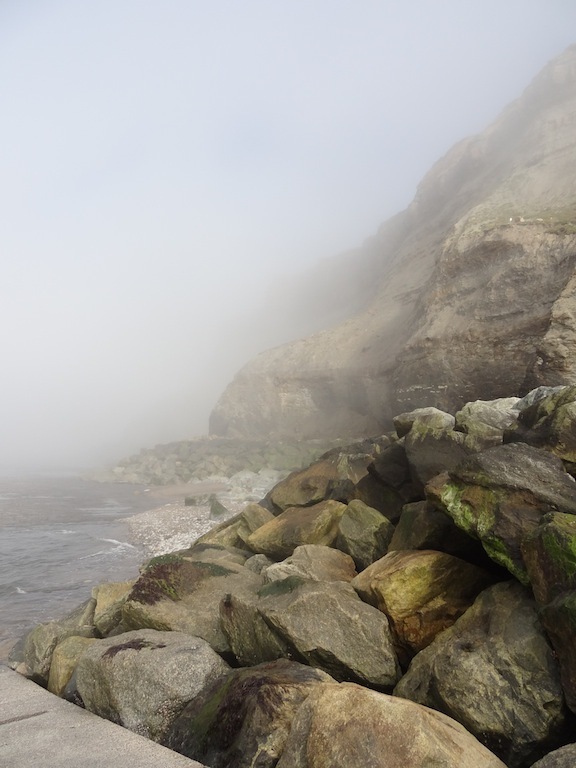 I hunted twice in the cliffs below the abbey at the mouth of Whitby Harbor. Access is simple, just follow the street along the waterfront and it takes you out to the breakwater and the base of the cliffs. 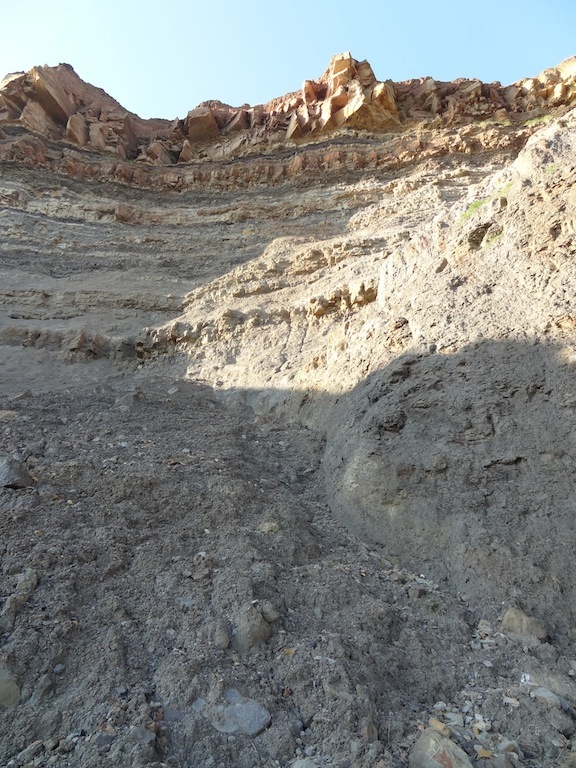 The base of the cliffs is accessible at any time by scrambling along the rip rap installed to inhibit the cliff erosion. The fog can be thick as guts! The cliffs are still quite unstable and it is risky to be that close. Loose debris rains down regularly. It is the only place I hunted where I wished I had a hard hat! 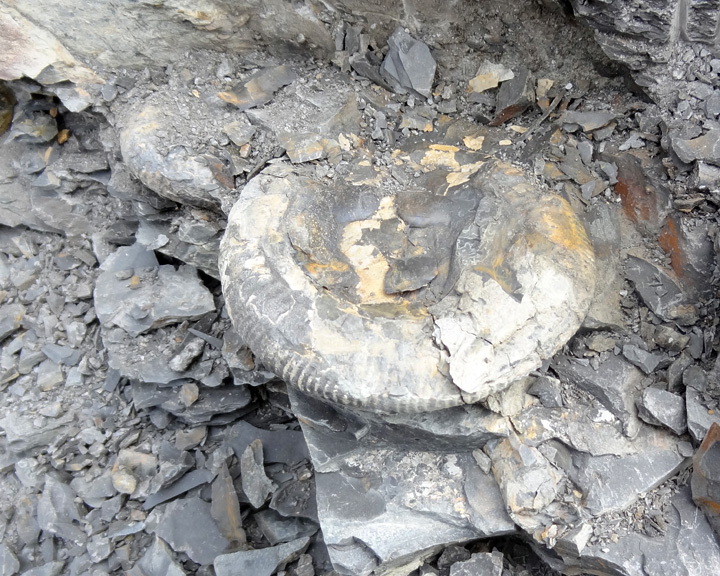 The shale contains copious crushed ammonites, however they are too soft to collect. Some appear quite nice but they are not fully preserved and will fall apart if you try to remove them. this I learned by going after one that appeared to be solid. Alas, even when exposed, it crumbles when you try to remove it. Hence, my suggestion to leave them be. I found an area where these pelecypods were prevalent. I did collect a handful of these from the cliff face. A pocket knife was sufficient to dislodge them. 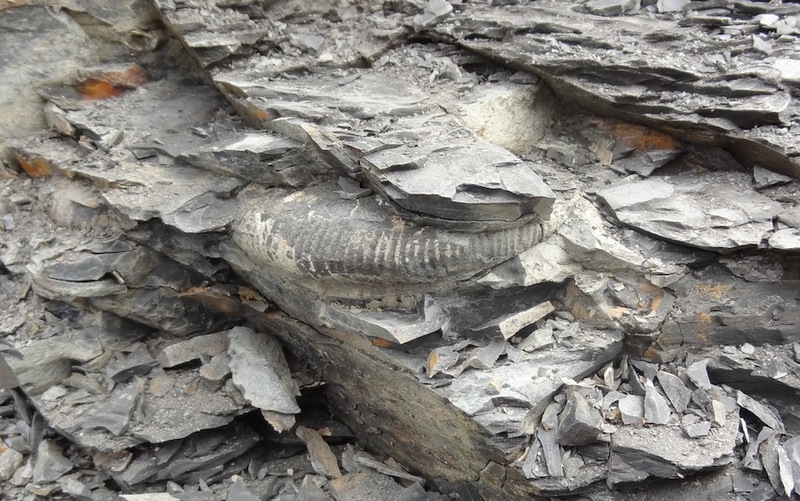 This is the display on our fossil wall, combining all of the Yorkshire localities. All in all, we are quite pleased with the experience. The weather was beautiful. The coast is spectacular.